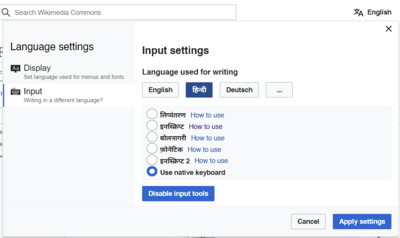 This page is a translated version of the page Extension:UniversalLanguageSelector and the translation is 14% complete. 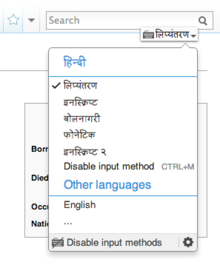 Opis Tool that allows users to select a language and configure its support in an easy way. Pobierz i umieść plik(i) w katalogu o nazwie UniversalLanguageSelector w swoim katalogu extensions/.